Rajasthan a state which is known for forts and haveli is also known for the Jain culture it holds within itself. Visit one of the most important and sacred Jain temples across India and witness the diverse Indian culture and the extent to which it is known. We at Travelsite India have created a package that will not only take you to the heritage that Rajasthan has but would also take you to a religious journey through all of India. Enjoy!!. As you arrive at Delhi, check into the hotel pre-booked for you. Stay at the hotel for the night. Dine and relax. After breakfast we would drive towards Alwar. Upon arrival check into the hotel and relax. Then, we would visit the Sri 1008 Chandra Prabhu Digambar Jain Atishaya Kshetra Dehra Tijara. The idol of the 8th Tirthankar is made in white stone. Later, return to the hotel for the night. Dine and relax. We would start our day by visiting Tijara Fort today. Then we will proceed to drive towards Jaipur and upon arrival check into the hotel. After that we would visit the City palace, Central Museum, Jantar Mantar and Hawa Mahal. Stay at the hotel for the night. 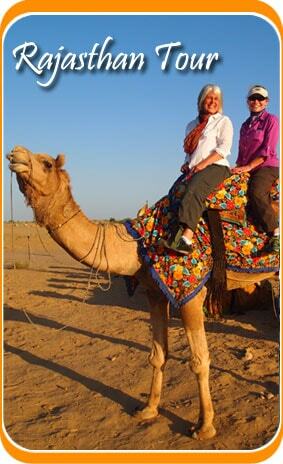 This day would be dedicated to the sightseeing tour of Jaipur. We will now visit the Amer Fort by riding on to a caparisoned elephant. Then visit the Chulgri Jain Temple and Shri Digambar Jain Temple of Sanganer. Stay at the hotel for the night. Dine and relax. Today after the breakfast we would move to Udaipur by road. As you arrive there, check into the hotel pre-booked for you. Stay at the hotel for the night. Start by visiting the Rikabhdev Jain Temple, situated on Udaipur- Ahmedabad road. With its main shrine including the idol of Digambar lord Rishabh dev which is in black stone in Padmasana position. As this is over retire to the hotel. Stay there for the night. Dine and relax. We will move to Banswara tour by road. Upon arrival, check into the hotel and relax. Thereafter we would visit Arthuna temples. We would then visit the Lankiya village around Arthuna which houses a temple called Nilkanth Mahadev Temples. Then proceed to the hotel. Stay there for the night. Dine and relax. Start your day by visiting the Andeshwar Jain Temple of Banswara today. This temple is very sacred as they house rare shilalekhs which date back to 10th century. Also visit the Digambara Jain temple here. We shall now drive to Udaipur back. Upon arrival, check into the hotel. Stay there, for the night. Dine and Relax. After a light breakfast we would move to Mount Abu. As you arrive there check into the hotel pre-booked for you. Later go and visit the Dilwara jain Temple. Stay at the hotel for the night. Dine and relax in the hotel. Start your trip by driving towards Ranakpur. Upon arrival check into the hotel pre-booked for you. Later in the day we would visit the Ranakpur Jain temples. This temple is dedicated to Adinath – one of the most important tirthankars of the Jains. Stay at the hotel for the night. Dine and relax. Proceed towards Jodhpur today by road. Upon arrival check into the hotel and relax. Later, we will visit the Osain temple after lunch. Osain is one of the most important sites of Jain culture housing various jain artifacts. The main Jain temple here is dedicated to lord Mahavira. Thereafter we would drive to Jodhpur. Upon arrival chceck inot te hotel pre-booked for you. Stay there for the night. Today we will go and visit the Nakodaji, one of the most famous Jain Temples in India. The temple is surrounded by forest and has an out worldly charm to it. The main deity here is the Mulnayaka Sri Parshvanath Bhagvan. Then we would drive back to Jodhpur. Stay at the hotel for the night. 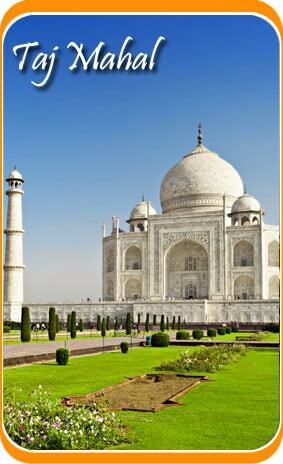 After breakfast, board a flight to Delhi as this is the last destination of your tour. Upon arrival, check into the hotel. After breakfast, board a flight to your home country. Your Jain pilgrimage tour of Rajasthan ends here.